Quinceanera ball gown with sheer neckline and sheer back. 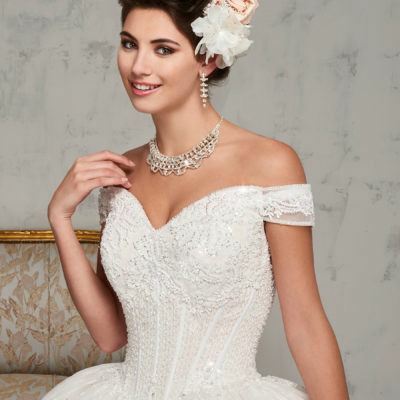 Quinceanera ball gown with sheer, embellished neck line that continues to the bodice. Features a sheer back with a zipper, and ruffle skirt.